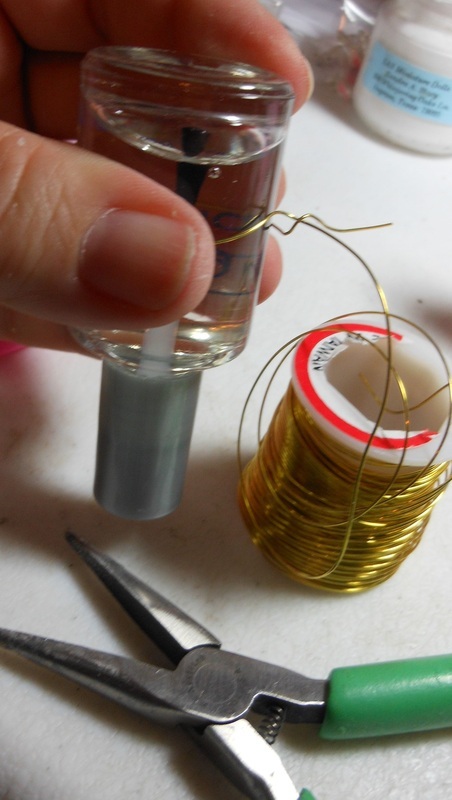 (1) Take a length of wire and wrap it around your round form (nail polish bottle) until it overlaps with a little wire hanging over. Twist the wires together 3-5 times and trim off begining wire if needed. Cut remaining wire approximately 1" to 2" longer. 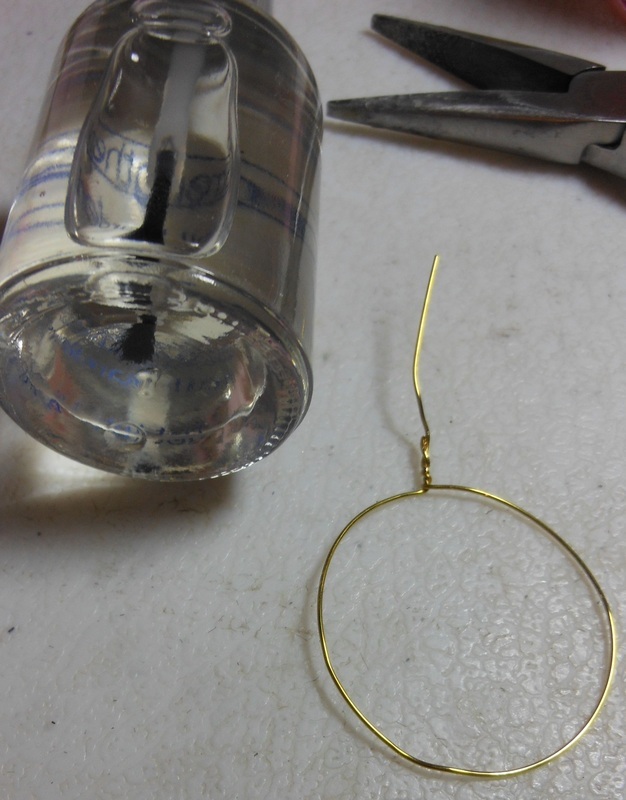 Slide the wire off of the form and you will have a piece of wire in a circle with a top twist. 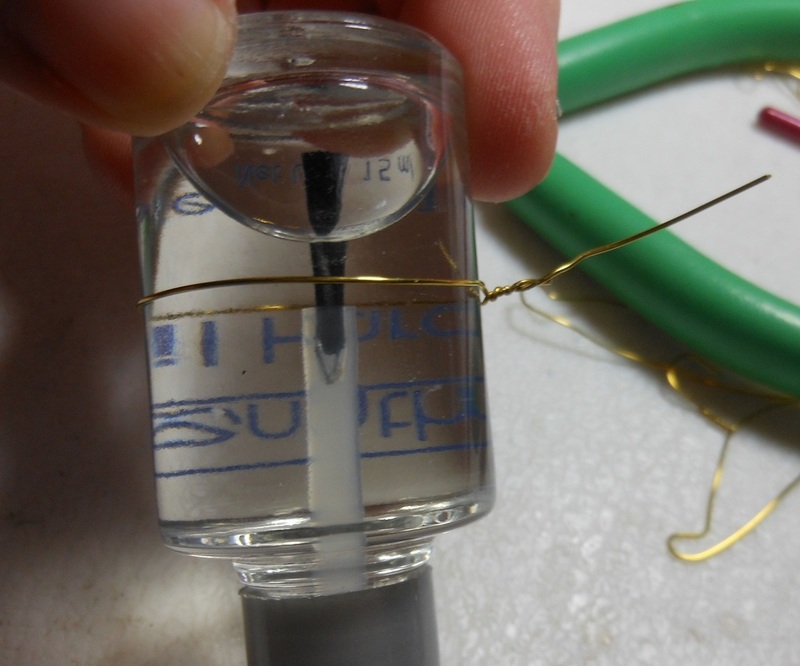 (2) Grasp this piece between your fingers and gently squeeze it until the wire twist and the center of the bottom wire come close together. (3) Place one jaw of your plyers inside the corner of the wire and twist up to form the arch that helps the garment stay on the hanger. 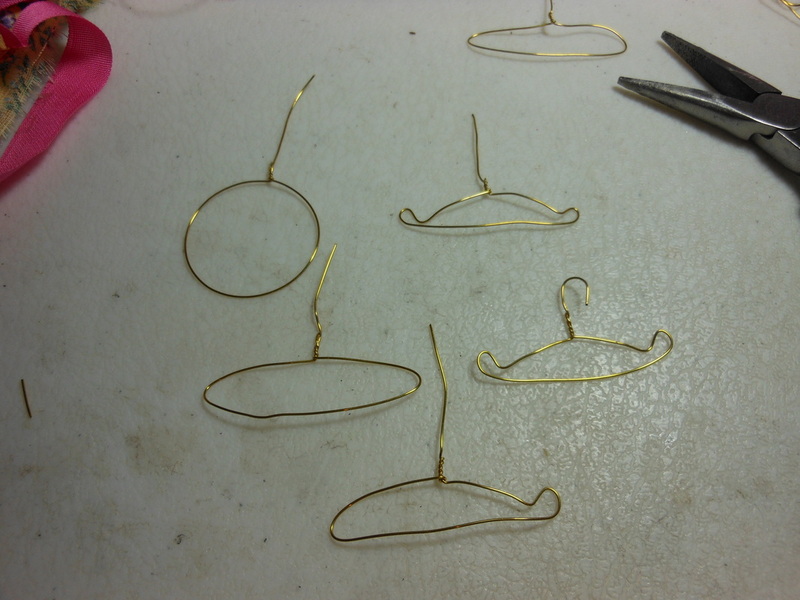 (4) Do the same for the other side of the hanger. (5) Fold the top wire around a paint brush handle or something to give the same loop effect. 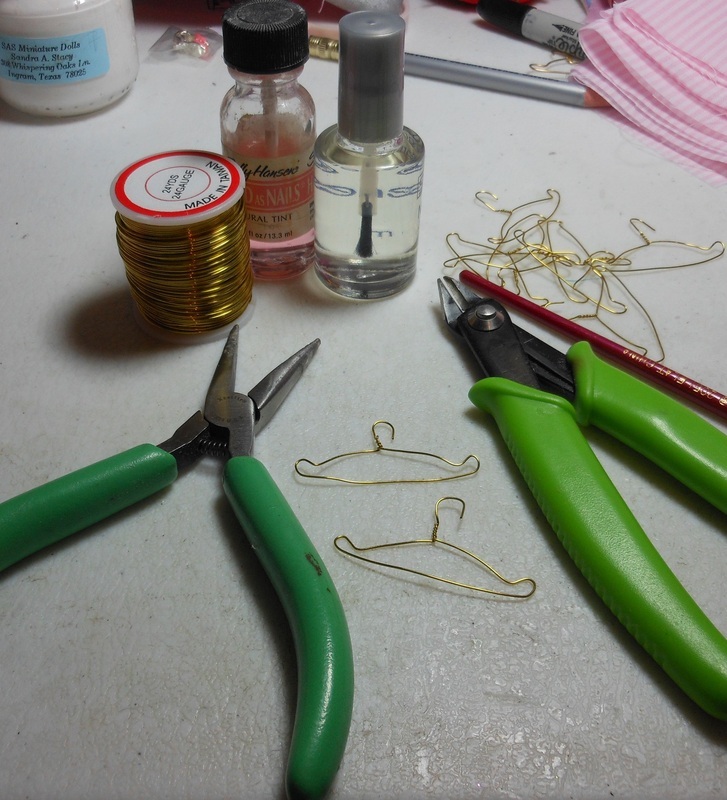 Clip off any excess wire.